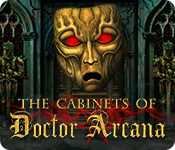 The Cabinets of Doctor Arcana is rated 4.1 out of 5 by 52. Rated 5 out of 5 by SynthpopAddict from 4.5 Stars - The Most Fun I've Had In a Long Time Getting Totally Mind Blown! [review based upon completed game] Pros: really cleverly crafted puzzles, great atmospheric graphics and music, non-obtrusive dialog, built in walkthrough and other extras (and in an SE!) Cons: if you want everything handed to you in your games...leave the mansion now! This is easily one of the best games I've ever played for how compelling it was - I literally spent all my free time outside of work playing until I completed the game in just a few days - sleep deprivation, missing my usual gym workouts, barely cooking anything - because I couldn't stop playing until I reached the end! This developer is new to PC games and really hit it out of the park with their first crack at making games which is truly amazing to me. If you are looking for HOS, don't bother as there are some hidden objects here and there to pick up, but this is all puzzles. 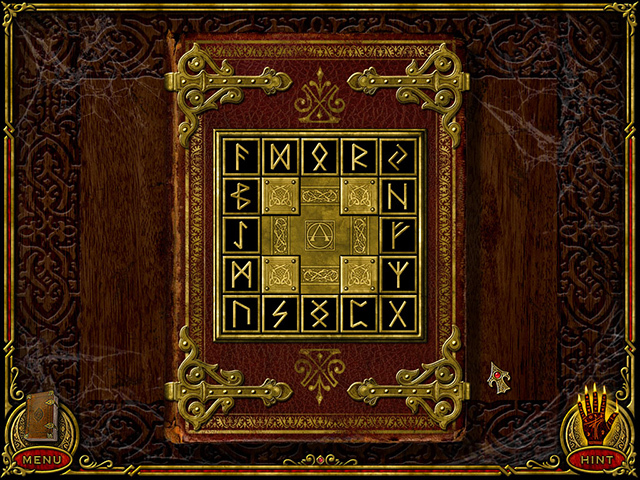 If you've been playing casual games for a while you'll be taken down memory lane with the puzzle types you'll see. Not to worry, it's not totally 90s as the graphics and soundtrack are beautifully done and very atmospheric. I'm glad to see BFG changed their cautionary statement, as there is no graphic content to scare anyone nor is there any "explicit adult content", but there definitely is a lot of occult imagery which doesn't bother me; however I can understand how it's not for everyone. Loved how the storyline was worked into the game: instead of the usual cutscenes/voiceovers, you get Dr. 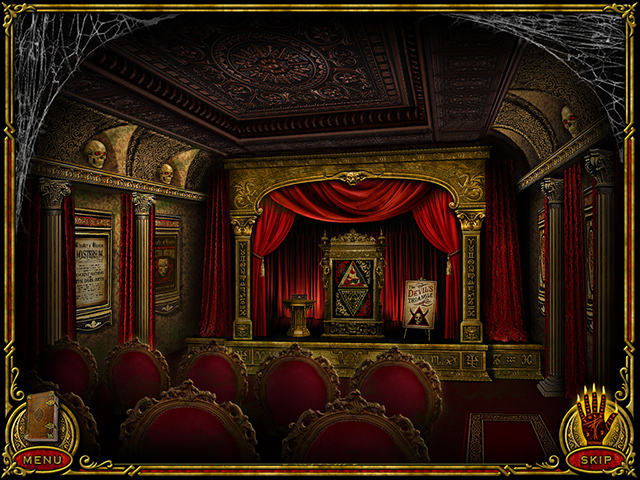 Arcana's mysterious mask appearing here and there speaking to you just enough, and the rest of the story is worked into the rooms of the mansion as you're working on accessing the assorted puzzles. 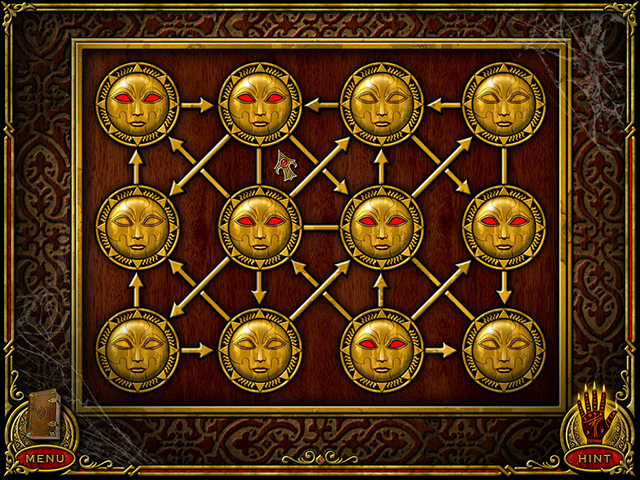 The puzzles are varied and ingenious in their design and level of complexity. The difficulty is everything from pretty easy [if you get what the clue is telling you] to diabolically brain-straining, and there's a pretty good mix of hard and easy puzzles within each room of the mansion as you're going along, although there's a definite difficulty gradient that increases as you go higher up in the mansion. The very final underground room you access is either an awesome example of puzzles within puzzles, or a hair-pulling hard fiendish trap as you will have to solve a puzzle even to get the clue to be able to get into the rest of the room. Something I noticed while playing was the assorted clues and objects to collect weren't always needed right away - sometimes you won't be using them for quite a long while as you might have to do several rooms elsewhere before you can get to the spot where you need a particular object or clue. The clues themselves start becoming little puzzles of their own late in the game which I thought was truly clever. There are no sparkles or other giveaway hints so even early on you'll need to engage your gray matter. The in-game journal is great for checking on your found clues especially when you finally reach a puzzle for which you found the assorted clue or HO several rooms ago, but I'd recommend writing down other tidbits you come across in a notebook. If you get stuck, there's a built-in walkthrough, but even if you only play for a little while, you'll notice Dr. Arcana has a dark, biting humor in his commentary. He saves his best shots for the walkthrough, which is a work of art IMO with how he ranges from patronizing, miffed, and very mockingly sarcastic. I actually read through the entire walkthrough after finishing the game just because I found it hilarious, but if you're one who's easily hurt and needs a lot of help to get through a game...this one isn't going to be for you. There are even other extras which usually only appear in CE versions like being able to view all the artwork you've discovered in your travels, a music player, and hidden Easter eggs to find which don't affect the main gameplay, but those who have gaming OCD will be spending quite some time trying to discover all the hidden secrets. If you like to *really* be challenged in your games and want one where you can solve it with logic and not luck, I definitely recommend this! The only minor quibbles I have are that you can't replay the game on the same player once you've finished to try to improve your ranking or locate whatever missing artwork, journal entries, or secrets you missed, and some of the puzzles could have benefited from having an "undo" button instead of only a "reset" button. Oh, and don't press the Hint button as I found it nearly useless and it lowers your ranking when you've finished the game. These are really the only reasons I took half a star off my review. I'm eagerly looking forward to more of this series. Puzzle lovers rejoice, you're seriously missing out if you haven't tried this game!